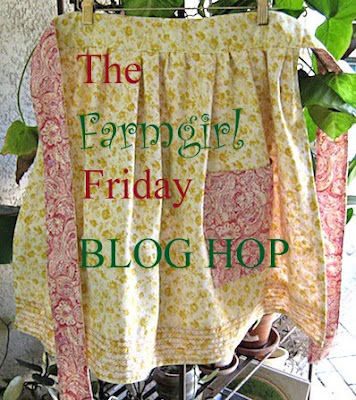 Welcome to the #83rd Farmgirl Friday Blog Hop! 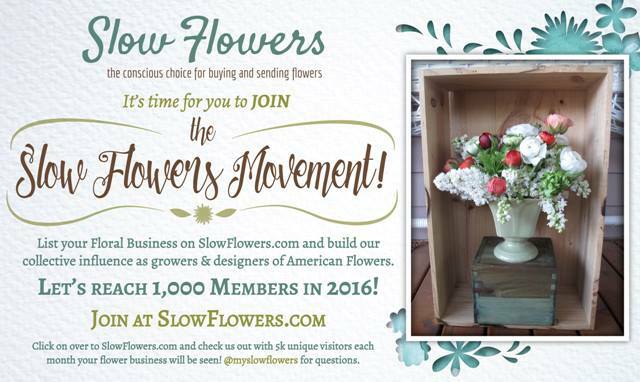 Your place to rub elbows with friends old and new! Whether it be in the kitchen, craft room, farmyard or over the garden gate! Dolly of Hibiscus House and me! 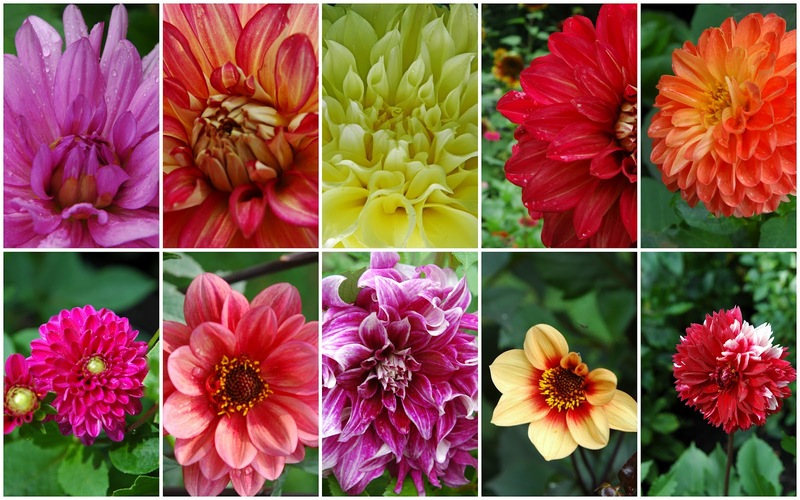 As for this farmgirl, it's time to dig and store the dahlia tubers for winter. I can't complain... I cut the last bouquet of them in late October! I'm loving all the wonderful holiday recipes and projects you have all been sharing! The" GIRLS " have it for this weeks top three! 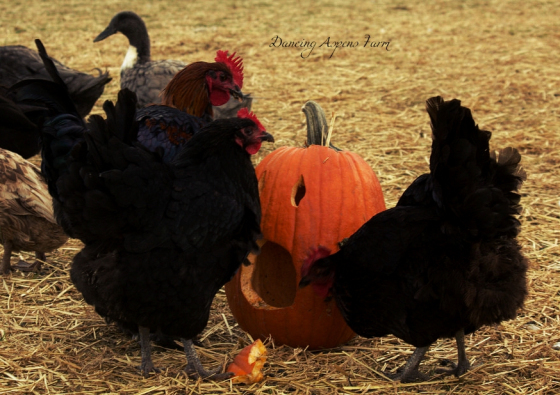 Dancing Aspen Farms shared a fun post about RE-USING pumpkins! What backyard chicken doesn't love pumpkin treats? 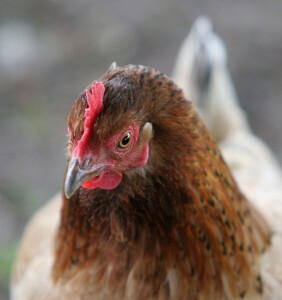 Backyard Chicken Keeping shares an informative post on how to get started keeping a small flock of your own. Isn't she a pretty girl? 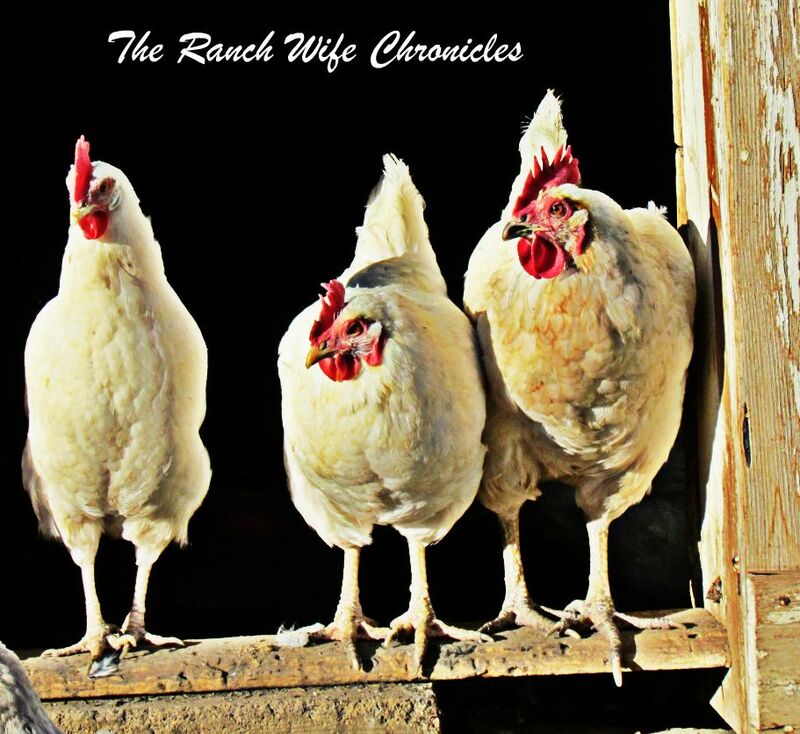 Ranch Wife Chronicles shares some lovely images of her pretty ladies. I think she captured these " old hens ruling the roost " just perfectly don't you? THREE CHEERS for BACK YARD CHICKENS! Now, it's time to do it all over again! Here are the rules for the Farmgirl/guy Blog Hop! Be sure to leave a note if you're new to the hop! Have a great week and I'll see you on the hop! Thanks to all who participate and welcome new linker- uppers! I'll see you on the hop! Love my backyard girls(hens)! They provide for many hours of entertainment. 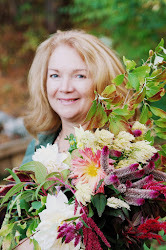 I so enjoy the Farmgirl blog hop. It gives me a weekend of blog reading, plus some wonderful ideas. So thank you, thank you !!! LOVE your chickens! I want to get some. Thank you for hosting such a fun party! Lovely flowers and those chicks are cute hehe ! Thanks for hosting the blog hop every week it is so fun reading and seeing what others are up to ! Have a great weekend ! Hi I am Sally your newest follower =) Thank you for hosting. Hope you'll find your way over to say hello. Your dahlias are so pretty! It's great that you dig them up and save them, I'd probably forget and they would freeze solid! Thank so much for your notes everyone! 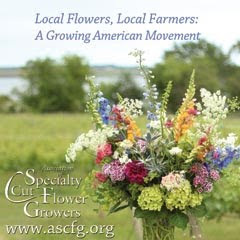 I love Farmgirl Friday!!! Your flowers are so gorgeous!!! Thank You much the feature, I appreciate it. What I great surprise. It's been a crazy week and I didn't get a chance to link up. Lilla Rose Flexi Clip WINNER!